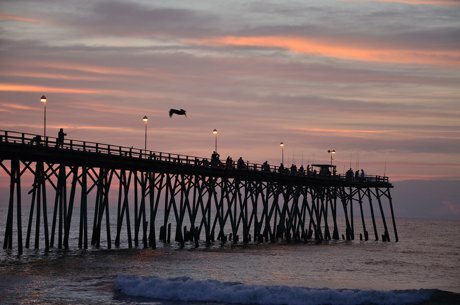 Kure Beach, North Carolina offers a tranquil, small town ambiance that is a perfect place for anyone to relax and enjoy. Tourists and owners of Kure Beach homes find the town cozy and romantic. Fort Fisher State Recreation Area and Ocean Front Park are both beautiful places for Kure Beach home owners to get in touch with nature. Featuring gorgeous views of the ocean, playgrounds, and “Story Time by the Sea,” these parks are sure to be a hit for the entire family. Are you looking for a Specific Neighborhood? The Fort Fisher State Historic Site is a wonderful place to go for any Kure Beach real estate owner or visitor. The museum teaches fascinating facts about the Civil War. This place also has artifacts from World War II. In a review of the Fort Fisher State Historic Site, one visitor wrote, “If you love history and pretty views, this is for you.” For more information on this national historic landmark, click here. Kure Beach real estate owners love to go see the wildlife from their area and around the world at the North Carolina Aquarium at Fort Fisher. This aquarium features interactive exhibits such as a touch tank, and has sea turtles, an albino alligator, a butterfly exhibit, horseshoe crabs, and more. All ages will be able to enjoy this wonderful establishment. If you would like more information on any of these North Topsail Beach homes for sale, please feel free to contact us by clicking the button below or go ahead and take the next step by clicking "Schedule a Showing" after clicking on any of the houses you are interested in. We can provide you with more information, like past sales history, neighborhood amenities, and area information.